As we mentioned earlier, we've been spending a lot of time working on widgets this weekend. The above photo link is the statue that P.T. 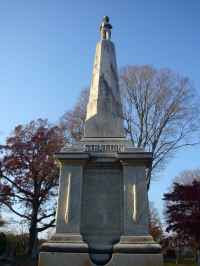 Barnum gifted to Bridgeport, CT in honor of Tom Thumb. We are using this page as a link in creating our very first widget. Why Tom Thumb, you ask? H is for History, of course.